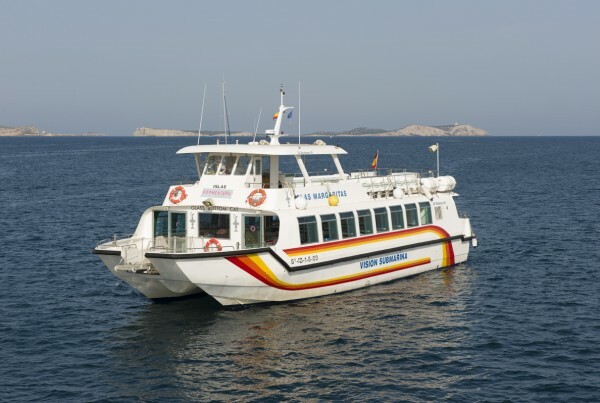 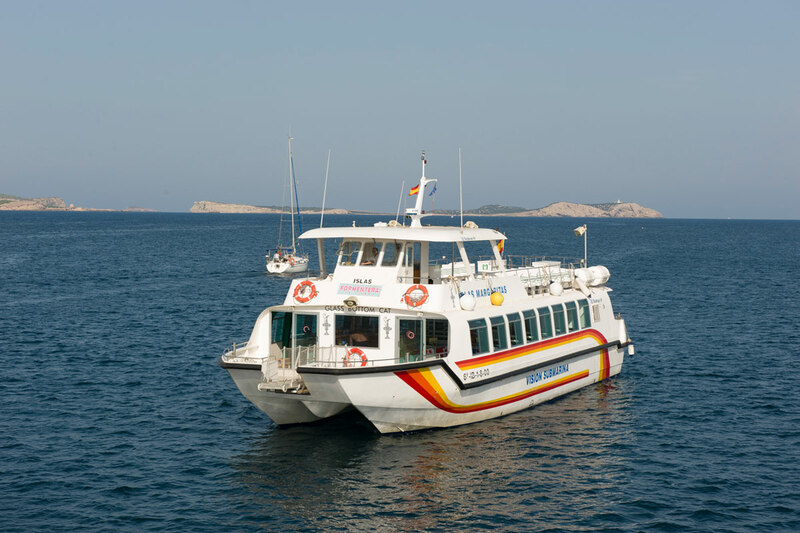 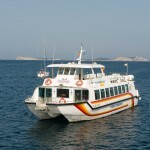 Catamaran by Rodman Polishyps (Vigo) in 2001, with a length of 20 meters and 7.50 wide. 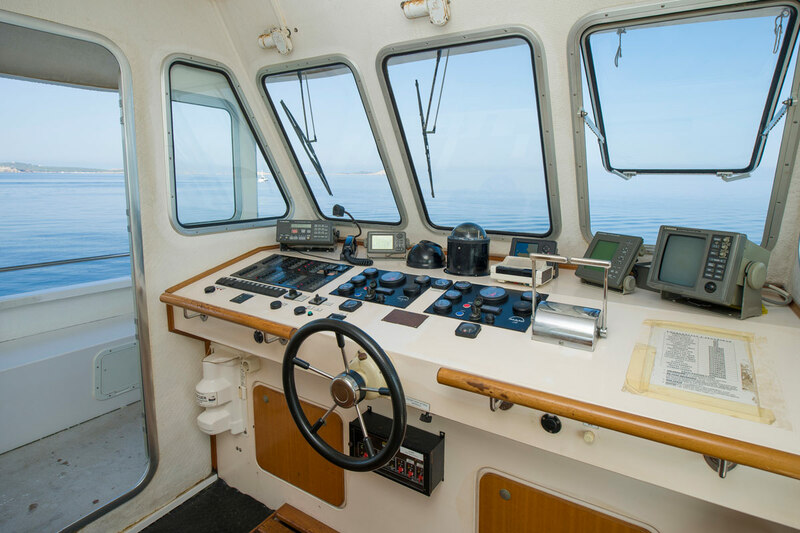 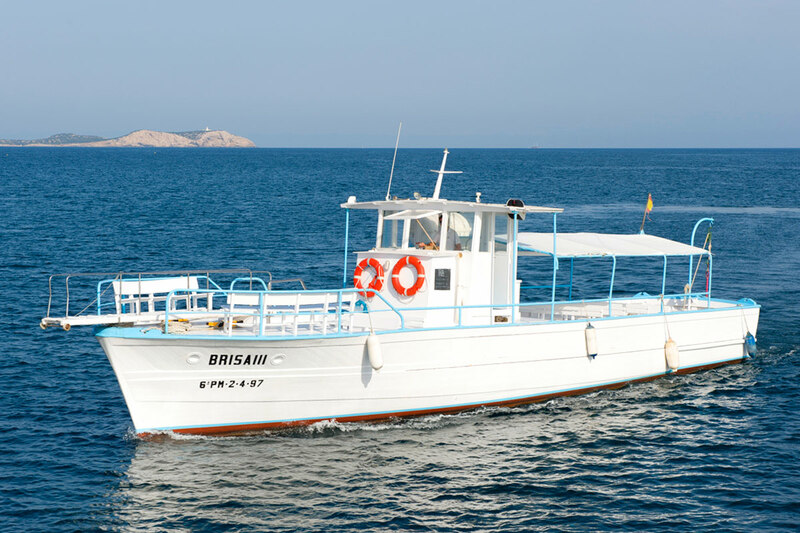 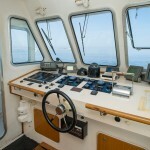 It has two MAN engines with a total power of 1500 CV, cruising speed is 15 knots. 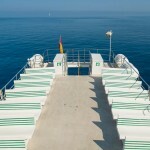 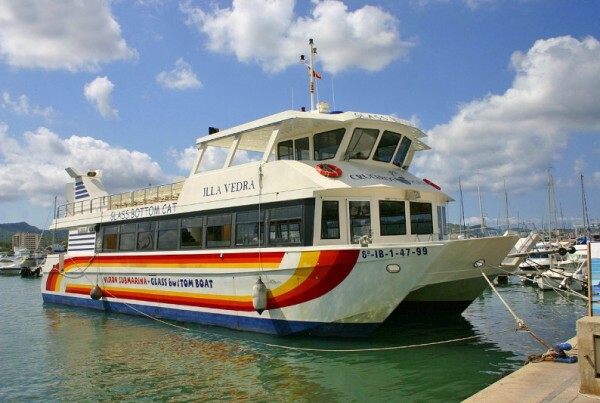 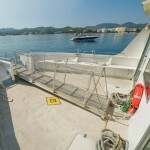 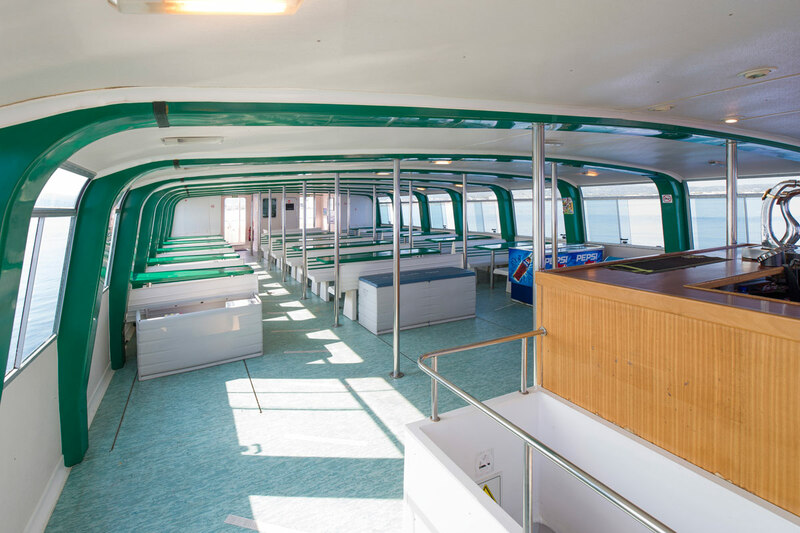 Capacity for 150 passengers on two decks. 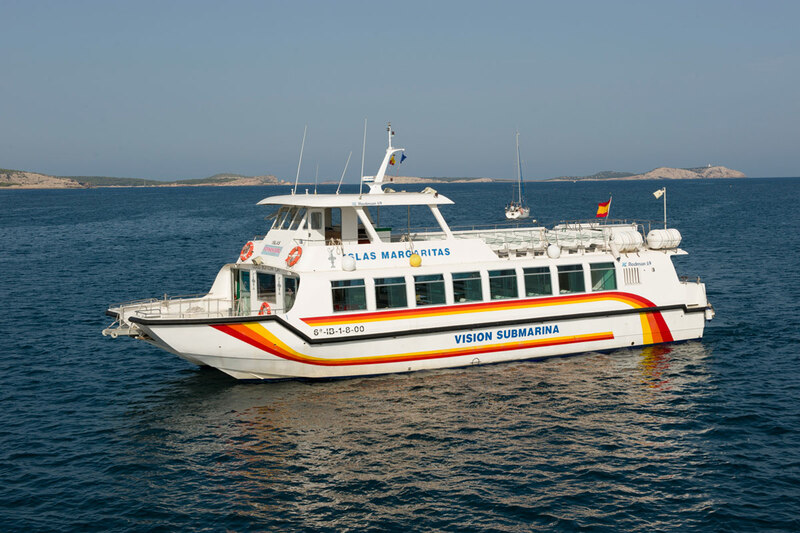 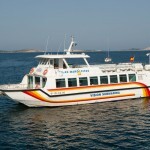 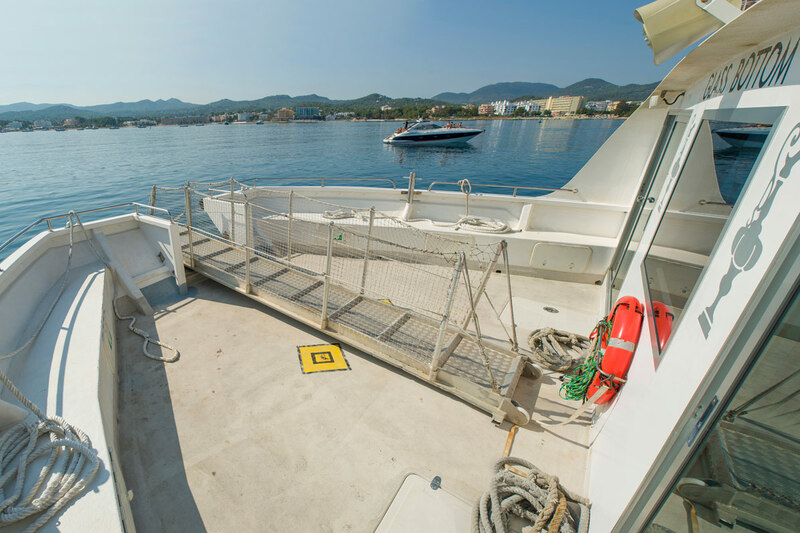 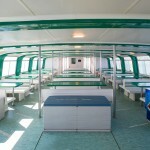 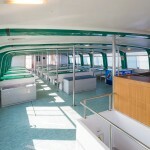 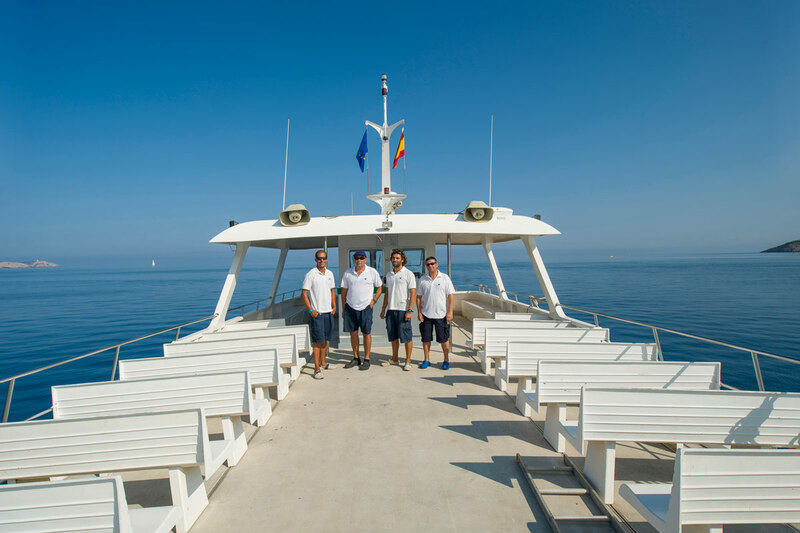 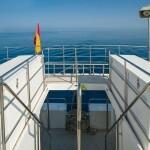 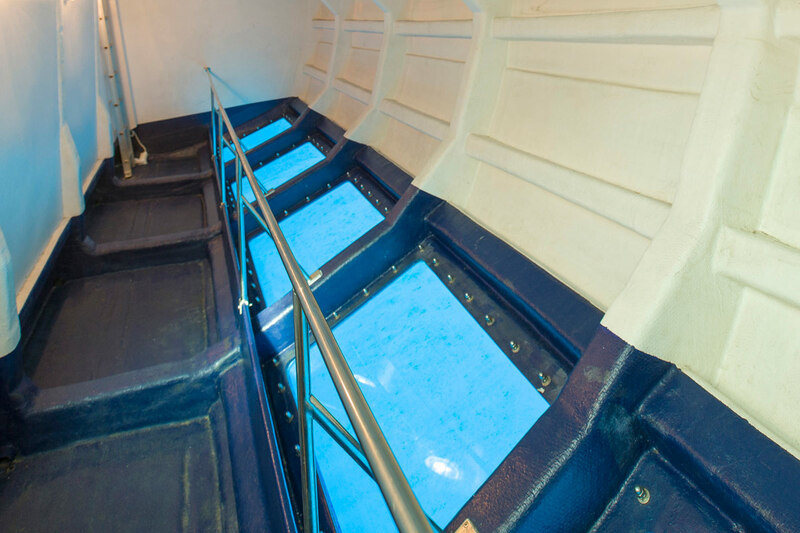 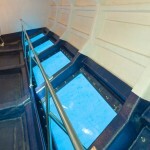 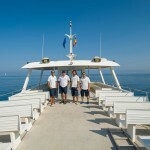 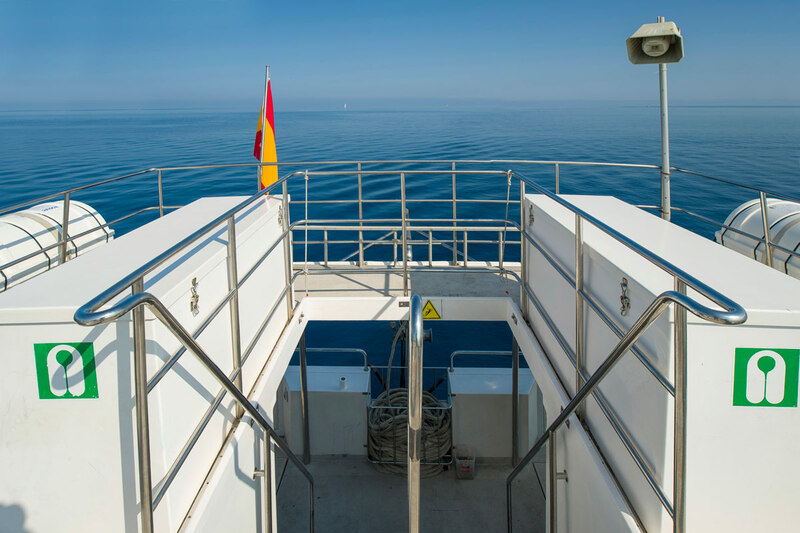 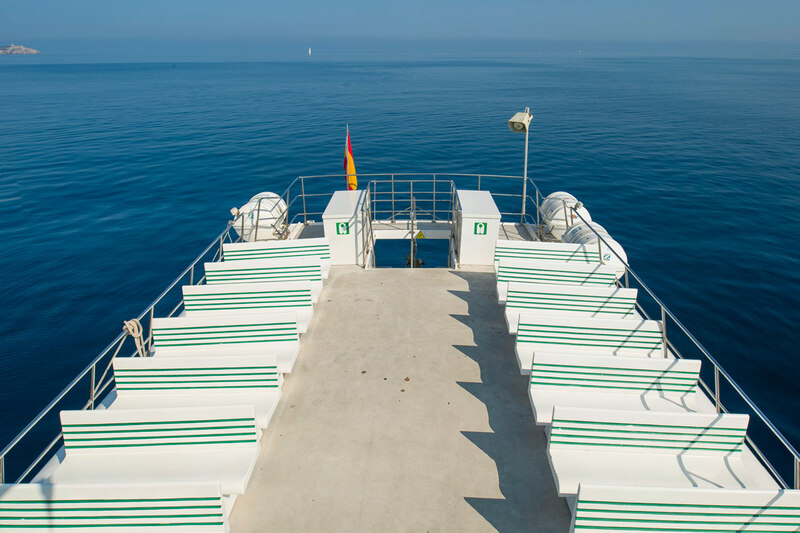 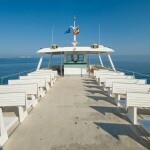 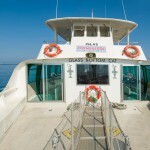 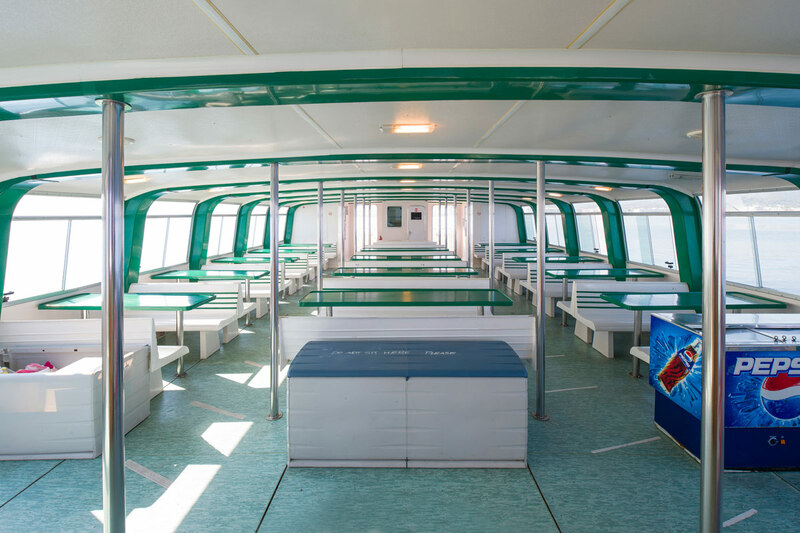 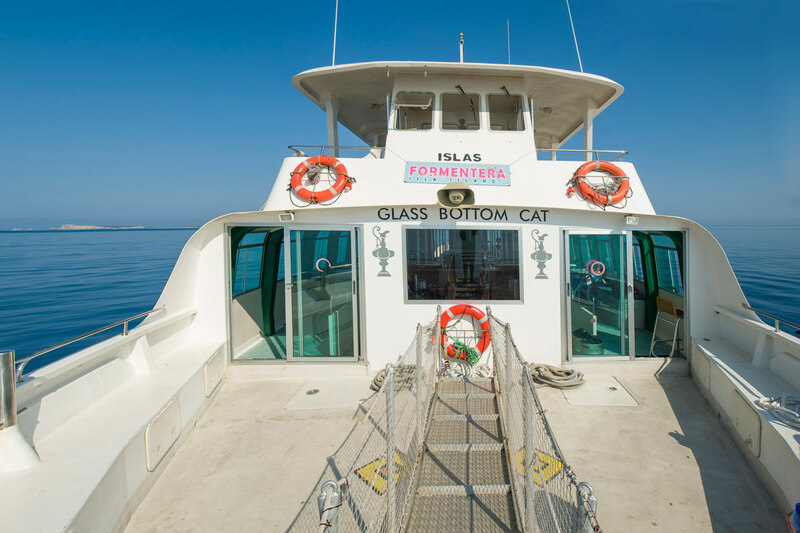 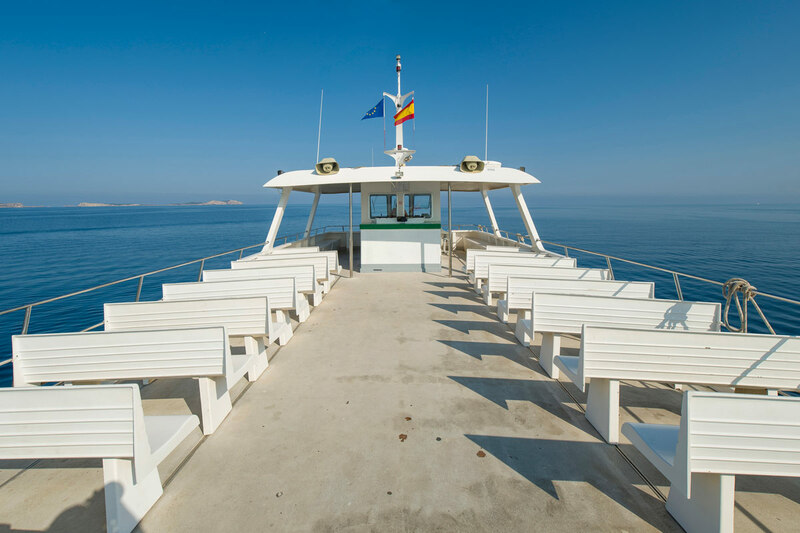 Equipped for underwater vision, has toilets for ladies and gentlemen separated, bar, PA system, bathing platform aft.